Amongst the affordable collectible four wheeled creations out there we came across this one today. 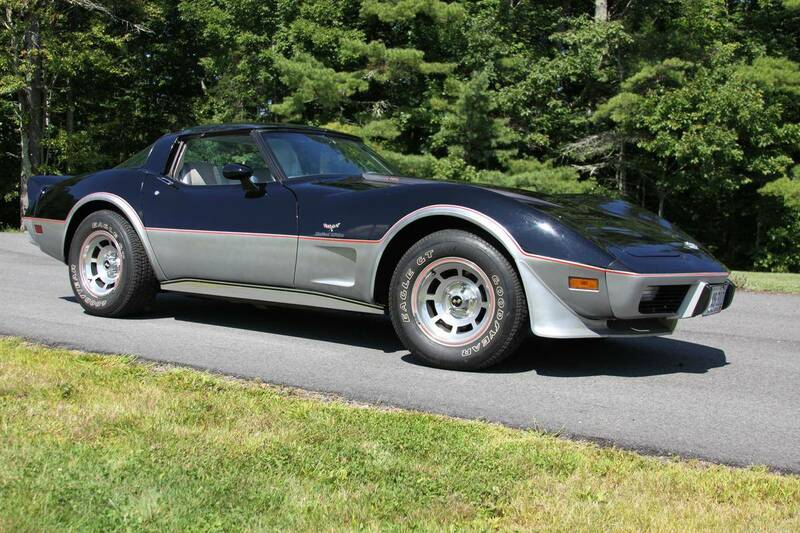 A 1978 25th Anniversary Chevrolet Corvette which pretty much qualifies as a “Barn Find”. Its not pristine, its well used and in need of some TLC, but the asking price is US$6000.00, so its a reasonably priced project car that shouldn’t need a lot of work unless you desired to bring it up to immaculate condition. The interior looks reasonable for a used 1978 vintage automobile. This one is on Craigslist and you’ll find it if you click here. 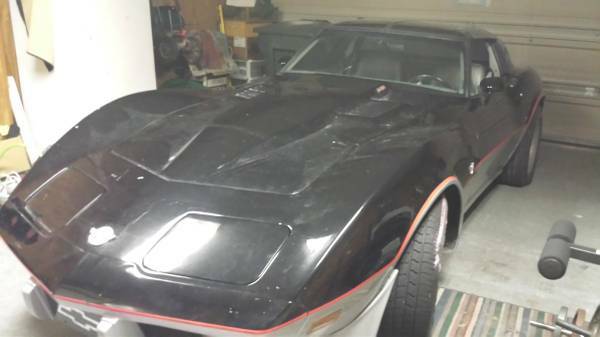 It has good potential as an affordable driving car for an enthusiast who “hasn’t bought a car since they stopped making cars”, someone who much prefers retro, computer technology free cars with some soul. It is also a car that would suit someone who wants something they can creatively re-model into something unique; something they can enjoy for a lifetime if desired. It could become something the beneficiaries of your will “will fight over when you’re gone”. A bit of spit and polish will help the paint; or you could re-paint it. The 25th Anniversary Corvette was based on the C3 with a number of improvements. 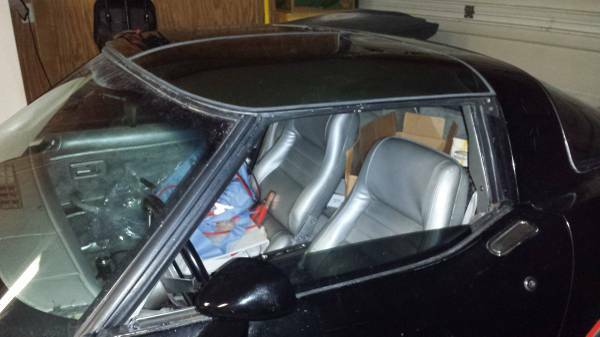 The rear glass was fixed and the sale car appears to have rear window heating, The rear fastback section also had a cover for the contents of the luggage section behind the rear seats so if you had your custom Champlin hunting rifle or similar desirable items in there you could keep it discretely out of sight from would be “five finger discount” exponents. The car had an “aircraft style” centre console and re-styled instrumentation. It also featured an actual glove box as opposed to the simple map pockets of its predecessors; better for storing your 1911 in. Mechanically the car had a few improvements including an aluminium inlet manifold and P225/70R15 wheels and tyres as standard. The Craigslist sale car looks to be the second anniversary model, which was the Indy 500 pace car replica. In mint condition these cars attract a lot more than US$6000.00, To see an example of a pristine one up for sale on Hemmings click here. 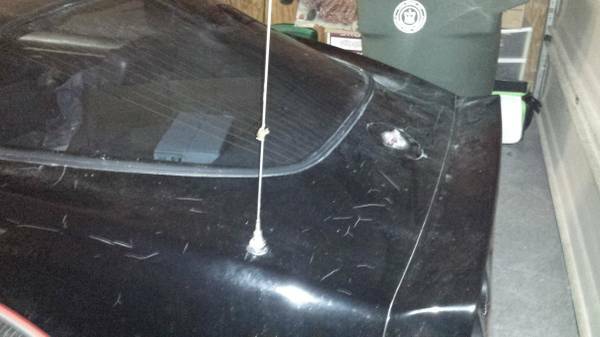 If you are looking for a “fixeruppper” then the car on Craigslist might just be for you. If you are looking for a pristine collectible then you might want to look at the car on Hemmings.